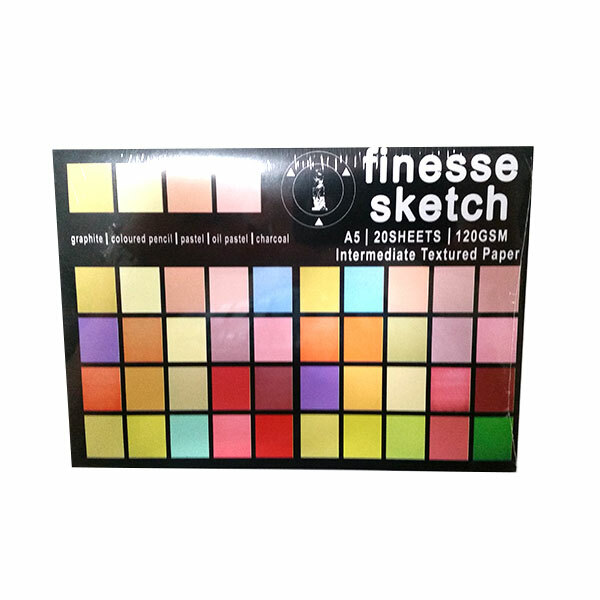 Would you like to try some art products without buying whole sets? Test the best without risking your whole budget. 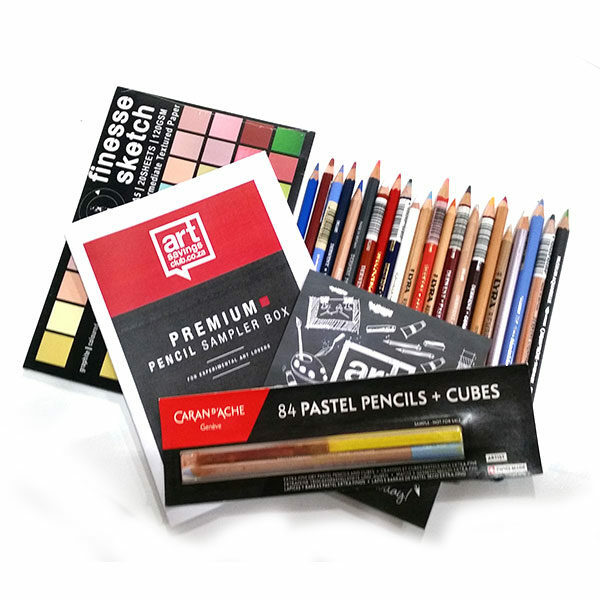 The Premium Pencil Sampler Box is an exclusive offer for ArtSavingsClub members, with a carefully curated selection of drool-worthy pencils from various excellent ranges. Limited quantity available for pre-order so get it now, for yourself or as the perfect gift for an artistic friend. If you prefer specific colours in your pencil selection, e-mail us at info@artsavingsclub.co.za to place your particular order. We hand selected some of our best selling, finest quality pencils for you to test. 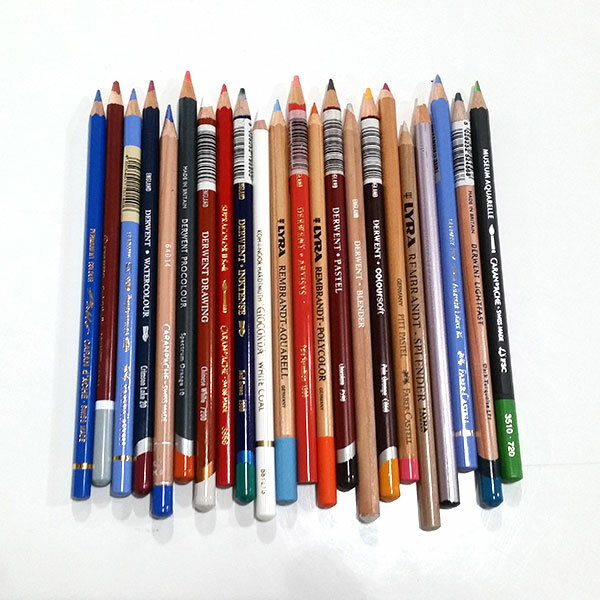 Experiment with different pencils and find your perfect match! 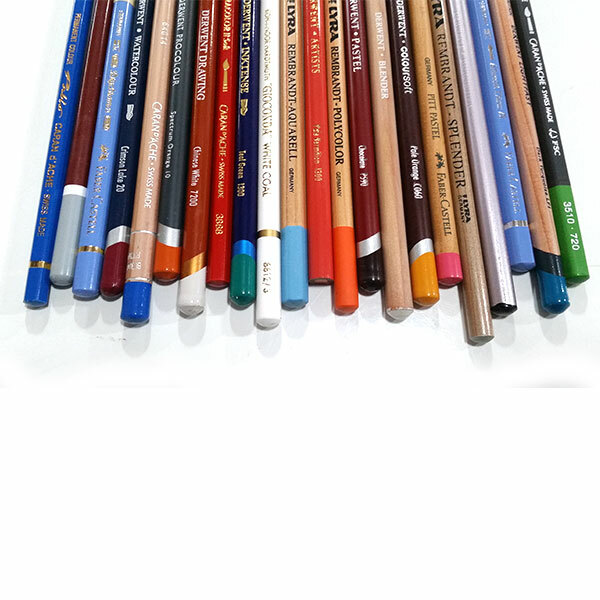 Our extensive pencil range is available online www.artsavingsclub.co.za. Experience the versatility and scope offered by this medium. 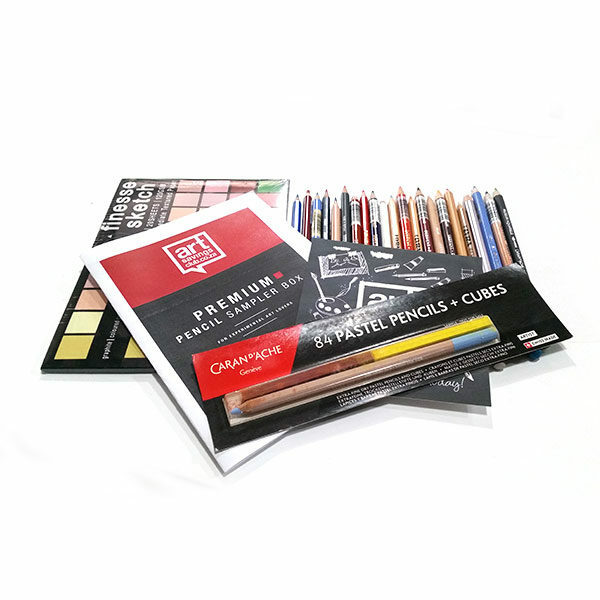 Your choices are limitless, including graphite pencils, charcoal pencils, watercolour pencils, wax- or oil based pencils, ink-based pencils, pastel pencils and many more. Pencils work well with other mediums opening up creative opportunities with mixed media. With only your imagination as limit- why not experiment with all the gorgeous choices this medium has to offer? 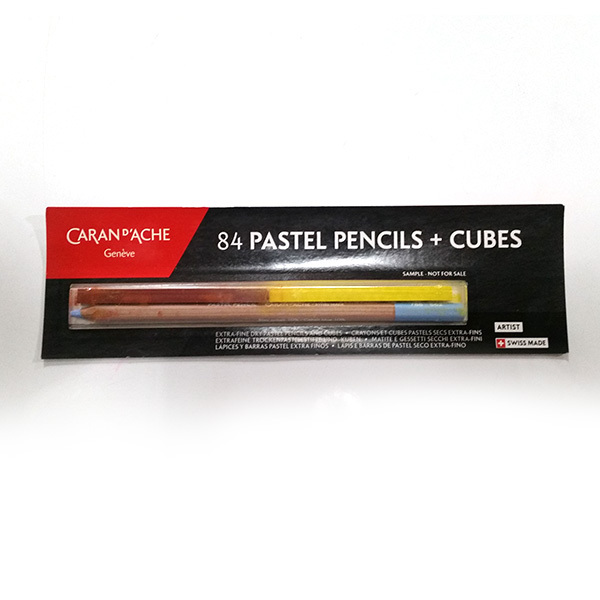 Would you like specific colours in your pencil selection? Please e-mail us at info@artsavingsclub.co.za to place your particular order. It was so exciting trying out all the different pencils.